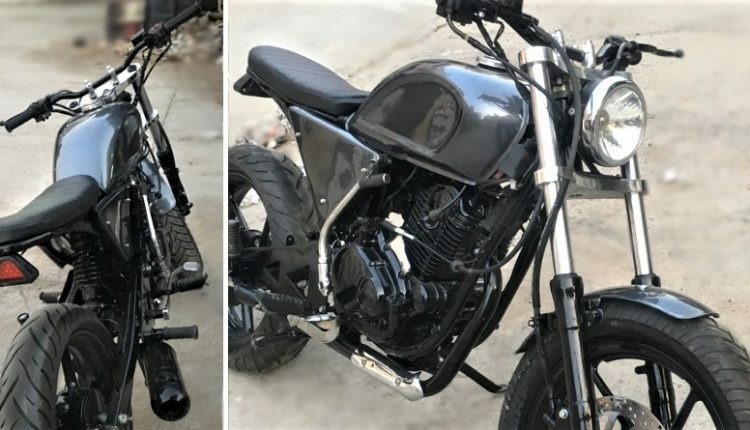 Meet Bajaj Pulsar 180 Scrambler: Modification to a motorcycle is the most amazing thing that one can achieve to obtain exclusivity in life. 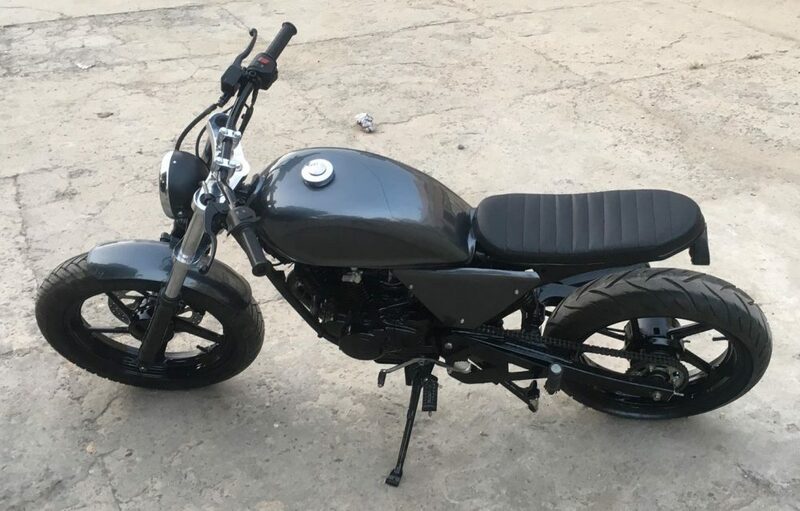 Aghori Customs have done one such experiment with a Bajaj Pulsar 180 DTSi, turning this commuter-centric performer into a mind-blowing Scrambler. The black shade is like a building block for Pulsar and keeping their creation perfect required the use of black on a majority of elements. 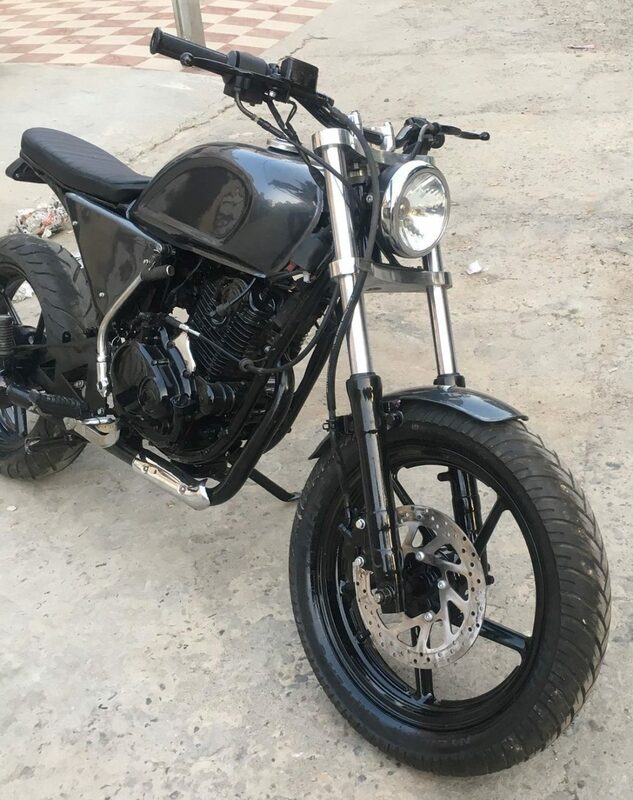 The front of this Scrambler flaunts thick rubber over standard Pulsar alloy wheel. A custom fender on top of the wheel and gloss black finished front suspension are perfectly synced, creating a premium appeal in comparison to stock parts. 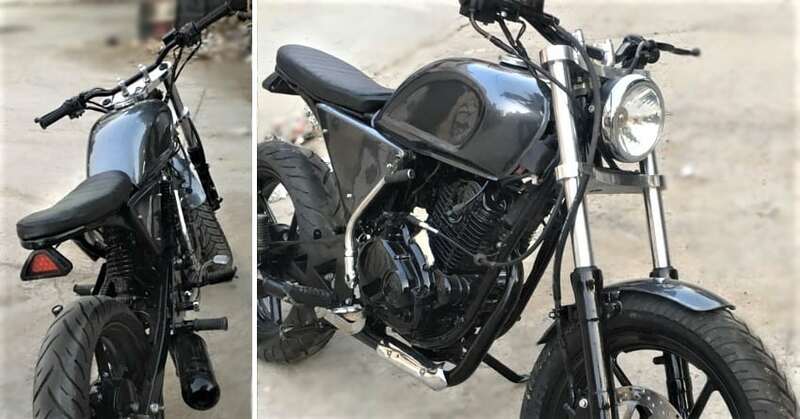 Aghori Customs are using a different fuel tank that looks more retro-inspired and purposely chiseled. The front suspension has more travel than before while headlight used here is a basic round unit with a halogen bulb and chrome outer ring. They have replaced the side panels with custom built flat pieces that are partially triangular. Use of a longer swing-arm permitted this big rear wheel into the motorcycle. The stock seat of Bajaj Pulsar 180 gives way to this beautiful ribbed seat with a triangular stop light. Another change was the use of a monoshock instead of twin shock absorbers. The motorcycle comes with a custom exhaust unit that gets gloss black finish. The entire body of this Scrambler comes without any graphical addition for the minimalistic yet commanding look. 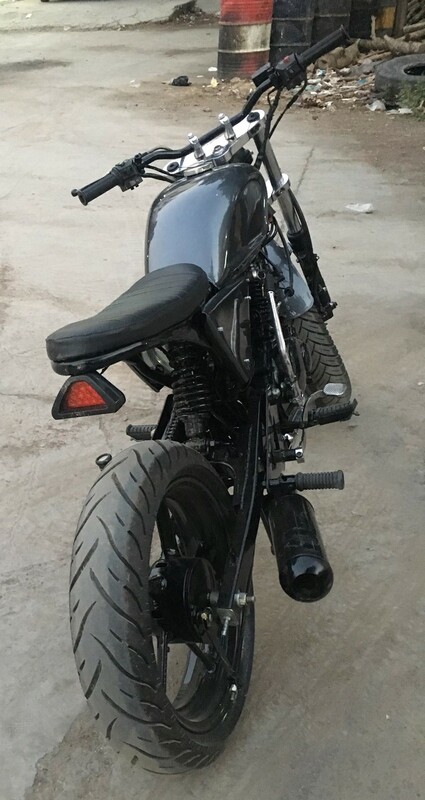 A stock Pulsar 180 engine with black finish is ready to rule the streets. This typical 178.6cc, single cylinder engine is good for 16.8 BHP at 8500 rpm and 14.2 Nm at 6500 rpm. Gearbox on the Scrambler remains five-speed. The removal of most parts must have resulted in a weight loss situation for Pulsar 180. 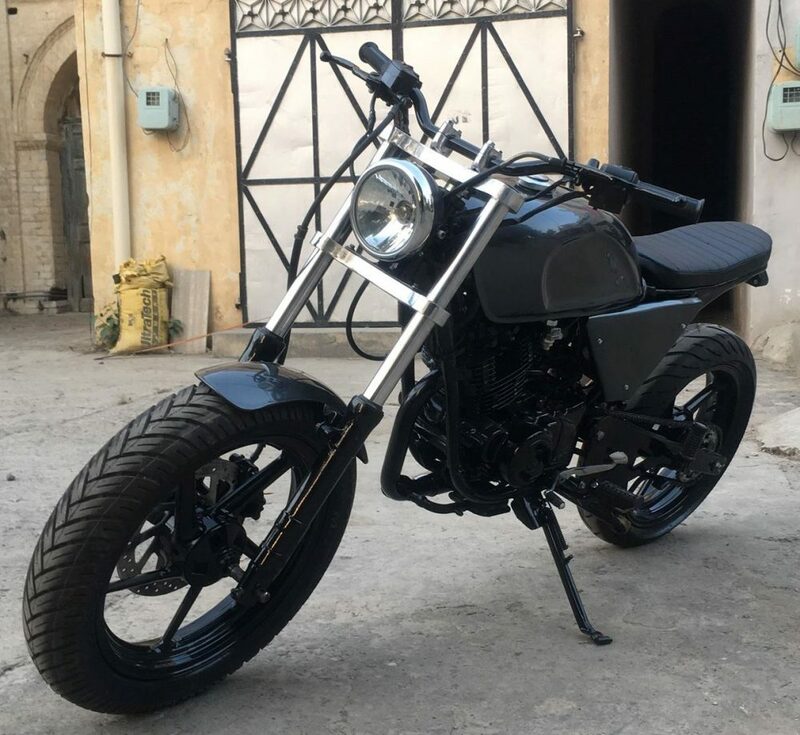 Aghori Customs has not shared the exact amount required to turn a stock motorcycle into this beautiful Scrambler.